The CVOTM (Custom Vehicle Operations) lineup is the cream of the crop, featuring custom details that are unmatched in the motorcycle world. 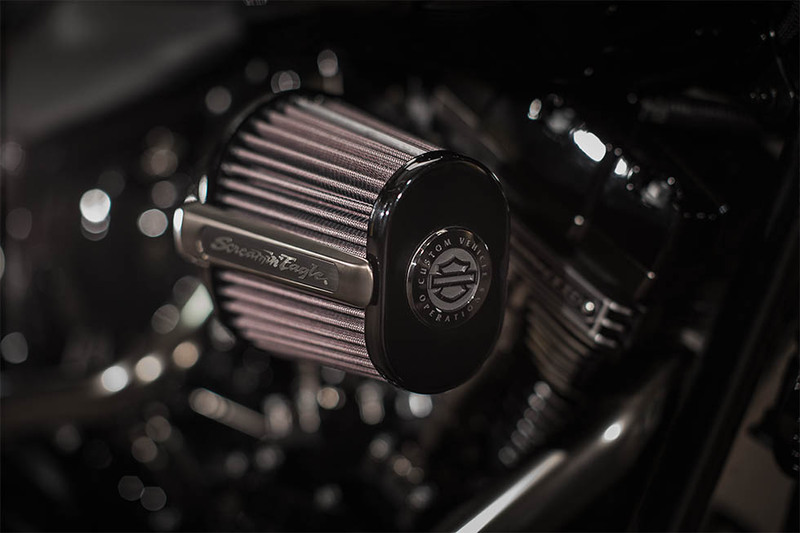 The CVOTM Pro Street Breakout® is armed with the famous Screamin’ Eagle® V-Twin for massive torque, and it’s finished with unmatched race-inspired styling. If you want a bike that looks ready for the drag-strip and has the muscle to back it up, then take a closer look at the CVOTM Pro Street Breakout®! 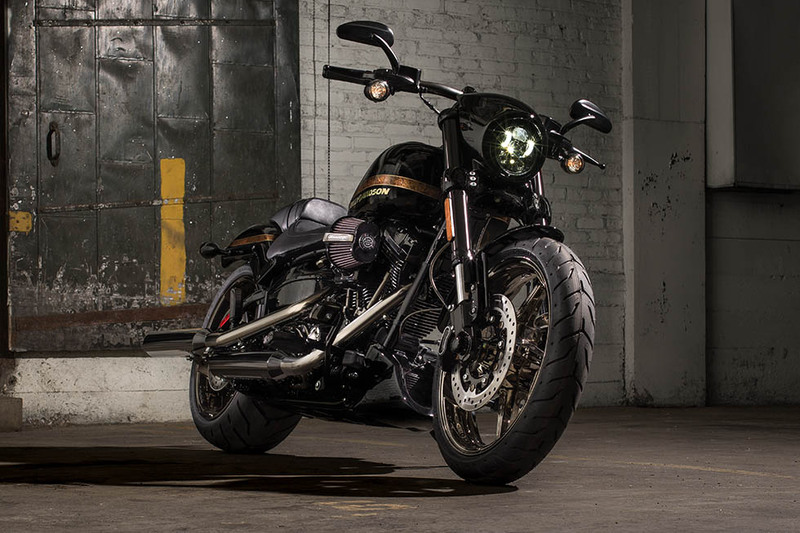 This powerful, custom bike is now available at Riverside Harley-Davidson®, your Los Angeles and Inland Empire, CA area Harley-Davidson® dealership. 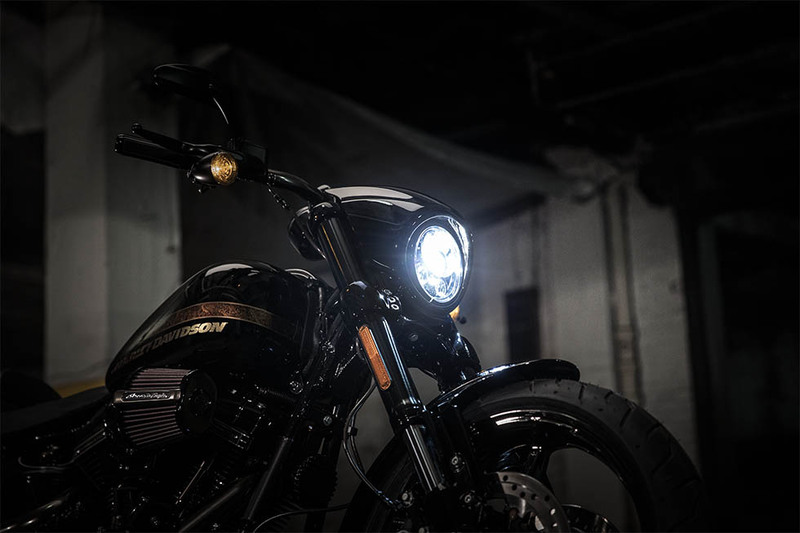 The CVOTM Pro Street Breakout® not only delivers scorching power at all speeds, it’s been carefully crafted and styled to reflect its high-performance pedigree. 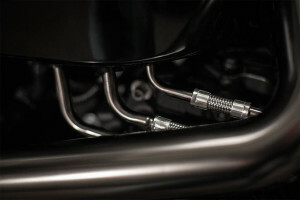 Aggressive Stance: The no-nonsense race-bred stance is long, low, and mean. Featuring a dragster bar, sport-style seat, and forward controls, you’ll find that the minute you throw your leg over the saddle you’ll be in a commanding riding posture. 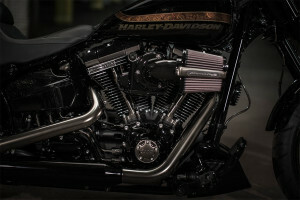 CVOTM Custom Paint: Only bikes in the Harley-Davidson® Custom Vehicle OperationTM lineup deliver a finish like this. 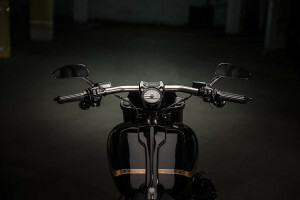 Premium black paint prevails, accented by the racing stripe that sweeps across the tank and rear fender for an unbeatable combination of custom style and dragster attitude. 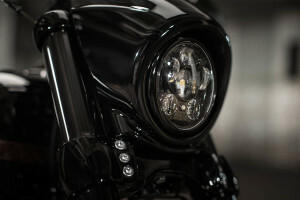 LED Lighting: These LED lights are the brightest around, lighting up every dark road you encounter. 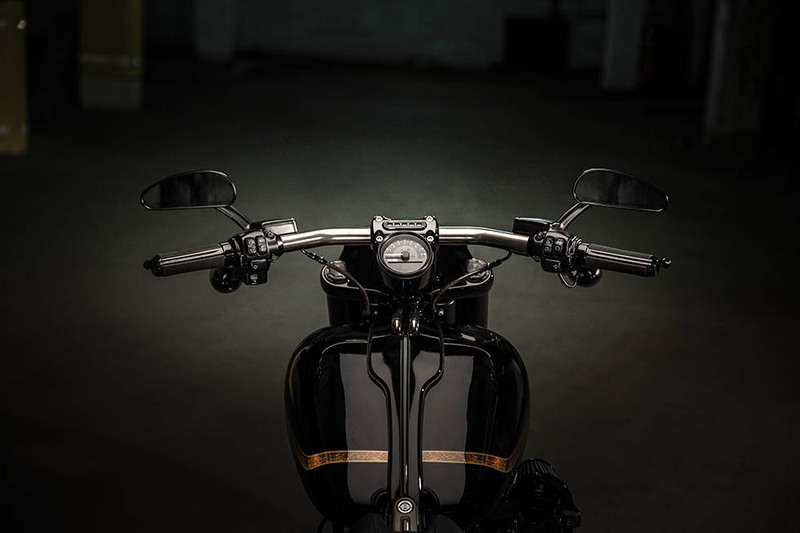 All-New Front End: You get aggressive race-styling up-front with a chopped front fender, large 43mm inverted forks, big triple clamp, black sliders, and a custom-style speed screen. Race-Inspired Seat with Custom Badge: The dragster seat is designed to keep you in a comfortable riding position. It’s smartly styled and bears a bold custom Harley-Davidson® CVO™ badge. 5-Spoke Aggressor Wheels: Gloss black Aggressor wheels with 5 spokes not only look great but are lightweight to maximize performance. 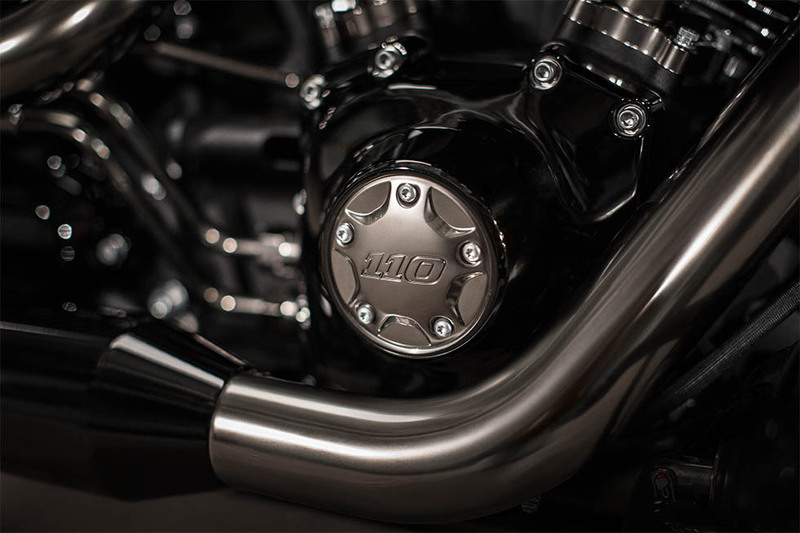 New Smoked Satin Chrome Finish: The cylinder heads, push rods, and pipes all sport a cool, smoked satin chrome finish that is tough and eye-catching. 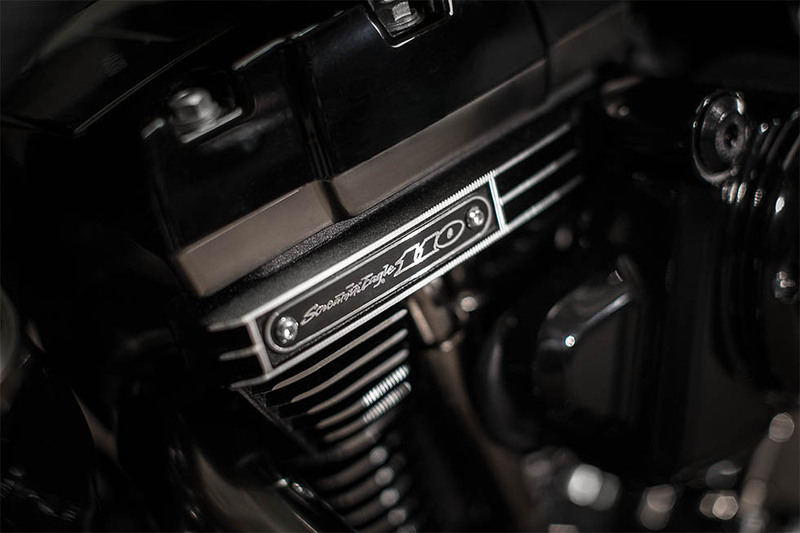 Carrying on the legacy of big Harley-Davidson power, the Screamin’ Eagle Twin-Cam V-Twin 110BTM engine delivers all the robust high performance you expect from a premium drag bike. 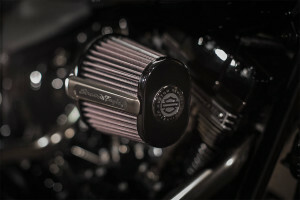 Screamin’ Eagle® Twin Cam 110TM with Smoked Chrome: Delivering big torque and a classic exhaust note, the powerful Twin Cam 110TM is dressed out with smoked chrome finishes. 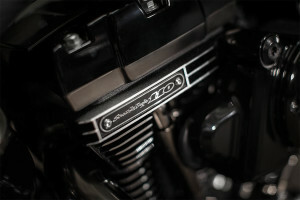 It’s an engine that looks as good as it performs. 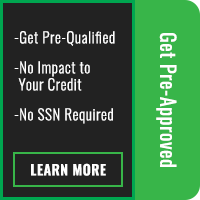 Six-Speed Cruise Drive®: The advanced six-speed transmission provides smooth highway cruising and quick acceleration when you need it. High Performance Slip & Assist Hydraulic Clutch: You can count on getting even shifting with less effort due to the high performance slip and assist hydraulic clutch. 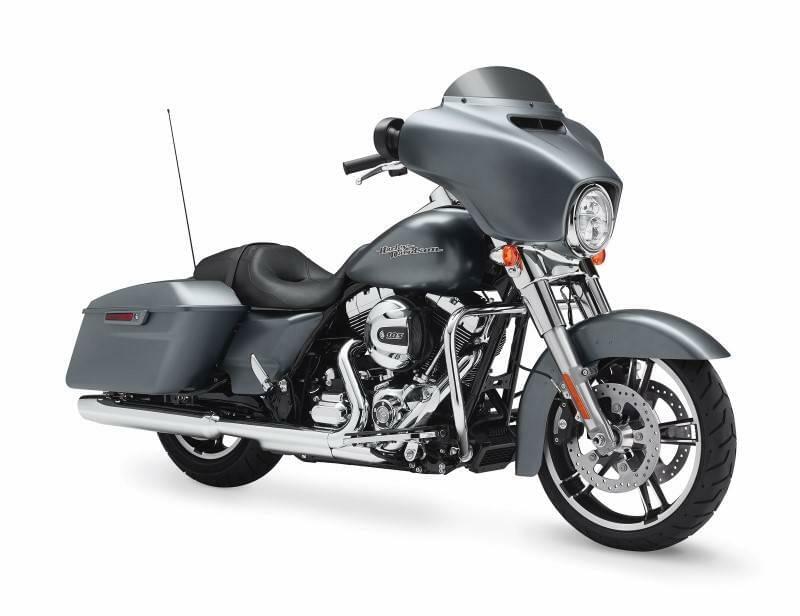 Packed with an array of high tech features, the CVOTM Pro Street Breakout® provides the comfort, convenience, and safety you’ll come to depend on wherever the road takes you. 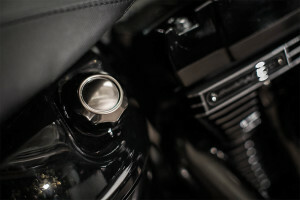 Keyless Ignition and Security System: The keyless ignition is a convenient addition to the CVOTM Pro Street Breakout®, and the H-D® Factory Security System with siren will automatically activate as soon as you leave your bike. Ergonomic Hand Controls: The ergonomic design of the hand controls adds to your comfort while allowing you to remain confidently in command. 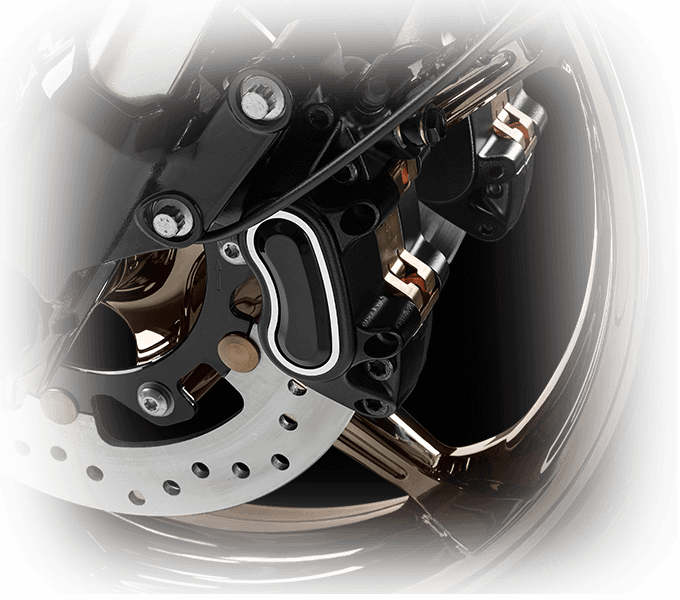 Antilock Brakes: The standard ABS provides the potent stopping power you can count on in all conditions. 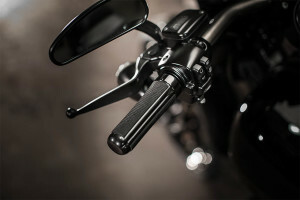 Electronic Throttle and Cruise Control: The exceptionally responsive electronic throttle and smart cruise control make navigating city streets or cruising the highway equally satisfying. 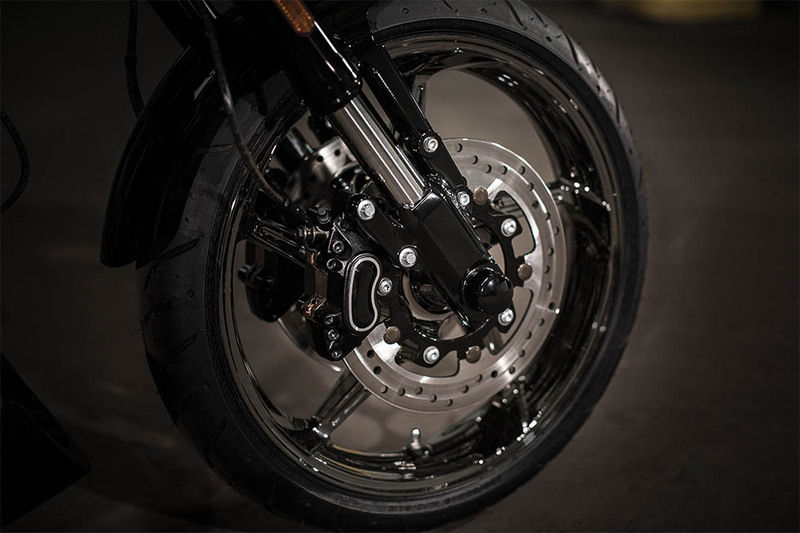 Dual Disc Front Brakes: The dual disc brakes up front ensure you get high performance stopping power, and with the reduced reach brake lever, you’ll find that it takes a lot less effort to engage the brakes. The CVOTM Pro Street Breakout® has been engineered to provide confident handling, whether you’re zipping around town, hauling down the highway, or opening it up at the track. Smoked Satin Drag Bar: This dragster style bar sports a distinctive smoked satin finish. 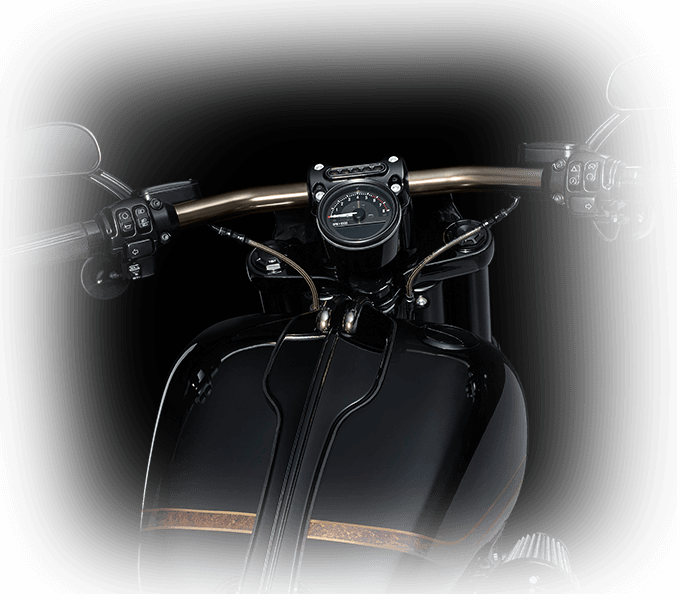 Combined with the race-bred seat and forward controls, it allows you to settle into the perfect riding posture. 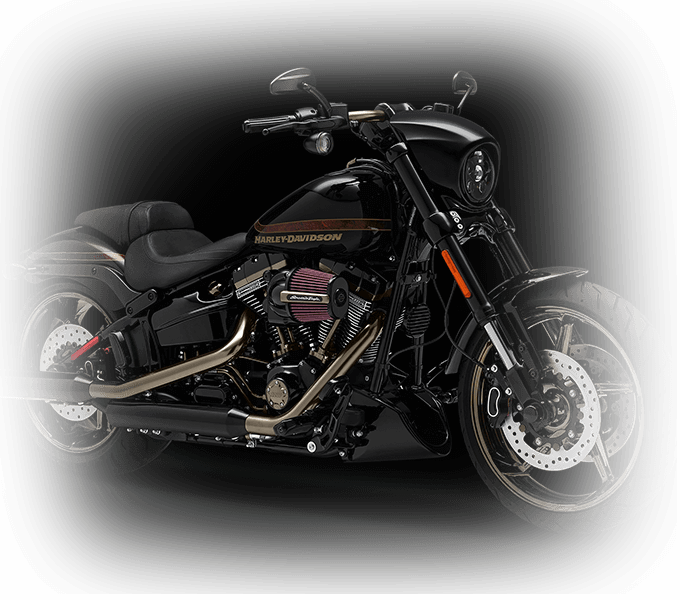 Lean back, put your fists to the wind, and enjoy the smooth handling of the CVOTM Pro Street Breakout®.